What is an Oncology Nurse Practitioner? Programs that train oncology nurse practitioners are graduate level, with students earning either a master's or a doctoral degree upon completion. Depending on the patient's condition and prognosis, an oncology nurse practitioner may recommend preventive health measures. An oncology nurse practitioner, under the supervision of one or more doctors, diagnoses, treats, and consults on cancer-related illnesses. She may also provide follow-up treatment for malignant tumors, depending on the applicable licensing restrictions. A professional in this position often contributes to the administrative, communication and research functions of the facility for which she works as well. Some nurse practitioners are frequently required to educate through community outreach or in a medical education classroom. Patient care is the primary function of this position. An oncology nurse practitioner initiates a relationship with her patient much like a physician does. She conducts a physical examination, records the patient’s health history and diagnoses the symptoms. The diagnosis normally requires a biopsy of the tumor in question subsequent to its discovery and initial analysis. After the diagnosis is confirmed, the practitioner normally confers with a physician on possible treatment plans. The plans may involve the administration of drugs or surgical procedures. If applicable clinical trials are available, steps may be initiated to qualify the patient for inclusion. 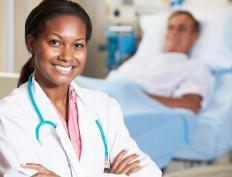 Patient follow-up is a regular job function of a nurse practitioner. Depending on the patient’s condition and prognosis, the practitioner may schedule further tests or recommend preventive health measures. 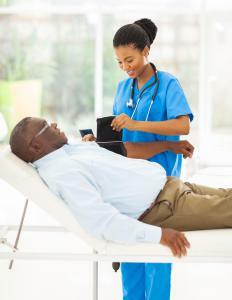 She regularly advises the patient on future risks related to the diagnosis. If side effects from treatments are a concern, she may recommend alternatives or provide symptom management techniques. In an administrative capacity, an oncology nurse practitioner is generally required to review and revise job descriptions, policies and procedures. She traditionally answers patient questions regarding treatments and medicines. In some circumstances, she may refer patients and family members to support or counseling resources. If the facility at which she is employed conducts research, the practitioner customarily provides input on techniques and assists in the analysis of results. She may also be required to document test results and maintain accurate records. If the results of the research are noteworthy, the practitioner may seek publication or share the findings with a professional organization. To be a successful oncology nurse practitioner requires a balance of medical expertise, organizational abilities and compassionate and clear interpersonal communication skills. Due to the sensitive nature of the specialty, a delicate mixture of honesty, empathy and positivity are strongly preferred for the position. The ability to effectively connect with a variety of personality types in highly charged atmospheres is an asset. Requirements to become an oncology nurse practitioner vary by region. Graduating from a registered nurse practitioner program is normally required, along with a bachelor’s or master’s degree in nursing. A minimum of one year of clinical nursing experience is often a prerequisite for the position. What is a Geriatric Nurse Practitioner? What are the Different Oncology Jobs? 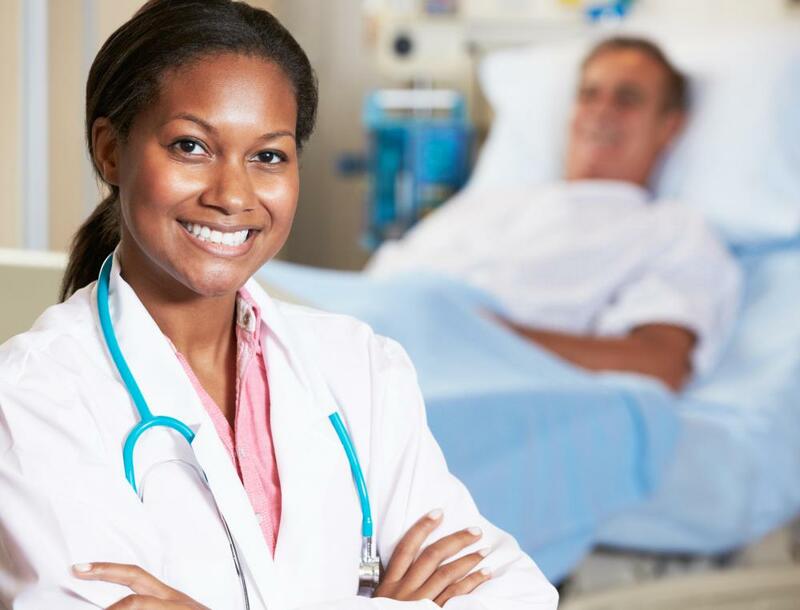 What are the Different Nurse Practitioner Careers? How do I get Family Nurse Practitioner Certification? How do I Choose the Best Nurse Practitioner Course?